Chronic head and facial pain is a multifaceted experience for patients, as it can pervasively affect the ability to function and ultimately hinder quality of life. Multidisciplinary approaches, including psychological and psychiatric interventions, for headache and facial pain are often necessary for successful treatment. Mood and anxiety symptoms, as well as deleterious health behaviors, can derail appropriate self-management, which then negatively affects medical management. 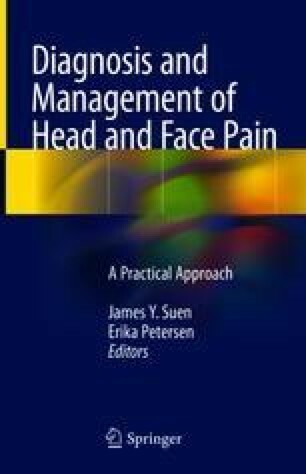 This chapter will review cognitive-behavioral interventions, relaxation/biofeedback training, operant learning theory, the role of family support, and psychotropic medication options that can enhance health coping and effective head and facial pain management.